Grand Canyon mules are sure-footed animals that will take you along the rim or down into the canyon for a once-in-a-lifetime mule trip adventure at Grand Canyon National Park. Mule Rides on the North Rim of the Grand Canyon. 1 hour or 1/2 day rides. Ages 7 and up. Where can I go on Mule Trips? Of all Grand Canyon mule trips, this is likely the most popular one, beginning in Grand Canyon Village and taking you all the way to Abyss Overlook. You’ll ride through lovely pine forest settings, enjoy the wildlife, and get water and snacks included. If anyone has overnight Grand Canyon mule rides on their “to-do-this-lifetime” list, an overnight mule ride to Phantom Ranch will be just the ticket. Staying at the rustic Phantom Ranch is an experience in itself, and you’ll ride across the Colorado River and see the colorful cliffs of the Inner Gorge for a priceless adventure at the bottom of Grand Canyon. 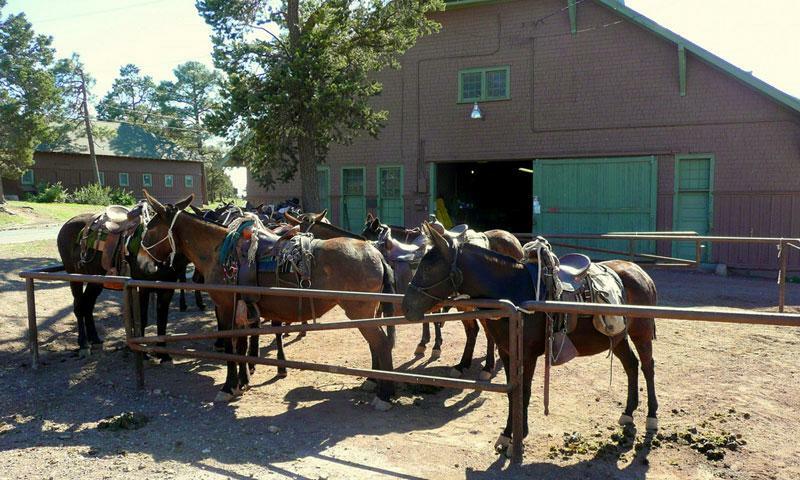 The North Rim mule rides leave from the North Kaibab Trailhead and are only available from mid-May to mid-October. A Grand Canyon mule ride along the North Rim on Uncle Jim Trail provides some wonderful views into the canyon. A one-hour trip may be just the thing for families or if you want to get the feel of a mule ride before embarking on a longer adventure. Ride to Uncle Jim’s Point on this half-day mule trip, following the Ken Patrick Trail to Uncle Jim’s Trail. 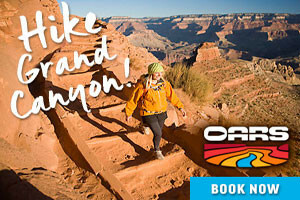 You won’t enter the Grand Canyon but you’ll find the views of Bright Angel Canyon and Roaring Springs Canyon breathtaking. Another half-day mule ride, the trip to Supai Tunnel takes you 2,300 feet down the North Kaibab Trail and into Grand Canyon. The mules do all the work, while you enjoy the sights of this marvelous national park. You should always be prepared for your trip to Grand Canyon. 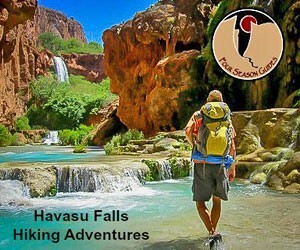 Browse the listings on this page to find any outfitters, guides or supplies you may need to make your adventure in Grand Canyon convenient and safe.